Lovely shawl right? Reminds me of Paddle Pop ais cream! Yum! 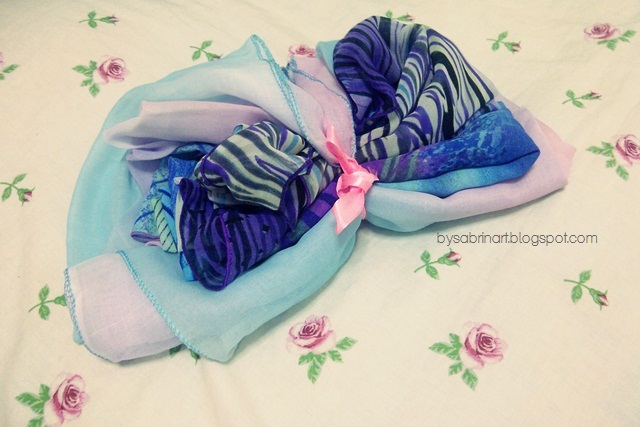 Buy 2 shawl and get this shawl for free! She also have some mustache ring and other accessories to be grab! The bawal shawl is very light and breathable. Easy to shape and nicely cover your chest! Get this cute shawl from SheShawl in Instagram now! it does! hehe! thanks for stopping by my blog Laura!